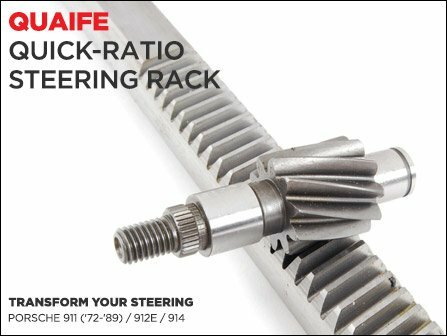 This kit from Quaife includes a brand new quick-ratio steering rack with pinion gear. The quicker ratio will transform your steering to 2½ turns lock-to-lock, allowing you to maneuver and correct the vehicle's direction much more rapidly. Turning radius remains unchanged. Works with both left and right-hand drive vehicles.Rack housing is not included. Back in stock with a slight price drop! :: ECS Tuning :: VW CC ECS Suspension Deals - Sale / Gift Card Eligible !!! :: ECS Tuning :: VW 337/20th/GLI ECS Performance Essentials - Click Here !! !